Note: If you're logged in using your academic institution's credentials, you will need to create an access token to use in lieu of your password. Make sure to save this New Access Token somewhere reliable. 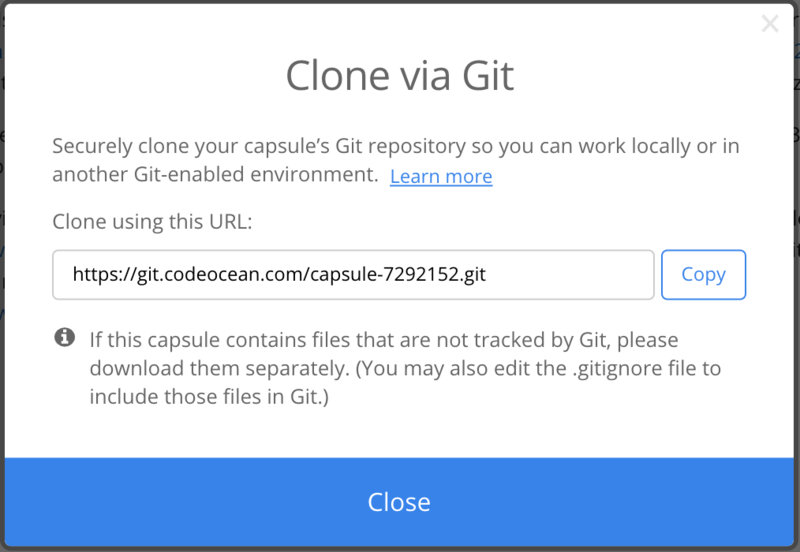 Copy and paste the URL and, via a terminal or Git client, run git clone [url] . This will prompt you for your username and password. Your username and password are the ones you use to sign on to Code Ocean, unless you have an access token, in which case you should use it instead of your password. From that point, you can push, pull, etc. 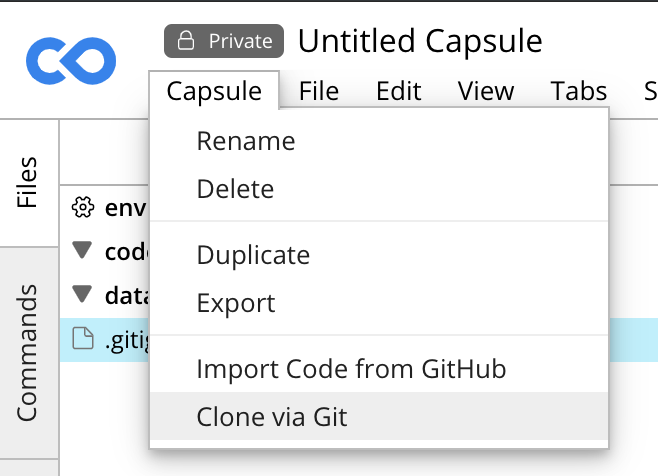 to the corresponding Code Ocean capsule.